So are you wondering what is the best zero gravity massage chair? 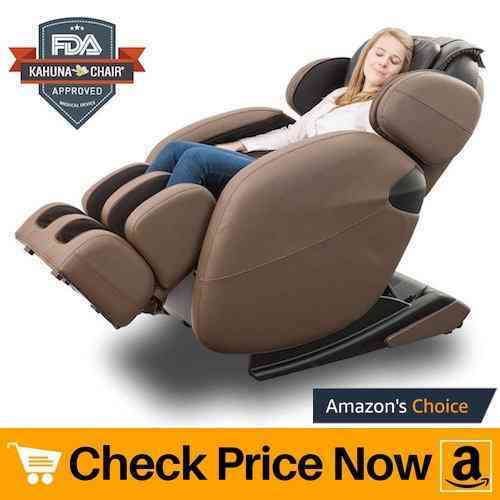 Then relax and keep on reading because we have reviewed some of the top rated chairs and recliners which will help you in buying the best zero gravity massage recliners or chair. People generally buy these massage chairs because it helps them relax after a long tiring work day. For some, it might be a source to reduce back pain or even help them fight fatigue. A special chair which balances out your body weight with respect to gravity is called zero gravity chairs. When we add a body massager beneath the leather and foam, it is called a zero gravity massage chair. It helps you relax and remove tension between muscle group by the use of vibration(1). Mostly Journalist, doctors, computer engineers and elderly buy massage chair. It helps them stretch the body and can have a nap. Why people buy massage recliners? Mostly because either they have a back issue or want to lose those tensed muscle fibers after sitting on a desk for more than 10 hours. Well during our review, we found that heating is an excellent process to calm down tension muscle. Kuhana massage chair is the perfect zero gravity chair that you need. It comes with multiple reclining positions that you can adjust according to your comfort. LM-6800 comes with the L-track system and 3 stages of zero gravity that manages your body weight perfectly while you are getting a real massage. If you feel fatigues or just want something more in your lounge recliner then access the special yoga stretching program with just one human touch. While you are enjoying full body heat massage on this zero gravity chair, you also use the dual foot rollers on the feet area to calm down your tired feet. Extra foot padding and remote holder included. Like other best zero gravity massage chairs, Real Relax chair also comes with soft armrest for complete comfort. When you hear zero gravity you expect your chair to make you feel like floating in space right? but not so many of them can make you feel like that and that’s why they are not in our review list. However, When using Real relax chair simply press the zero-gravity button and you will feel virtually weightless. That experience is amazing and when you combine it with a full body massage? it is soothing just to imagine. And that’s what you are going to get with this excellent massage chair with zero gravity from Real Relax brand. The comfort will be enhanced due to the presence of 50 small airbags around the shoulder, arms, back and in your seat. They also boost it with 8 rollers inside the backrest and foot rollers function for full body massage. Apart from high-quality material and customer feedback, it also comes with easy to install video tutorial so that you can start enjoying your message in less than 30 minutes from unboxing. New forest is one of the best massage chair brands out in the market. FR-5Ks is a true zero gravity massage chair which can position you in a true zero gravity recliner. Such a body position will allow better blood circulation, relaxation and a deeper and more effective massage. Knocking, kneading, rolling, shiatsu, tapping, vibration(seat) and combo tapping with knocking(a favorite of mine) are some of the awesome massage variations that you can choose from if operating manually. 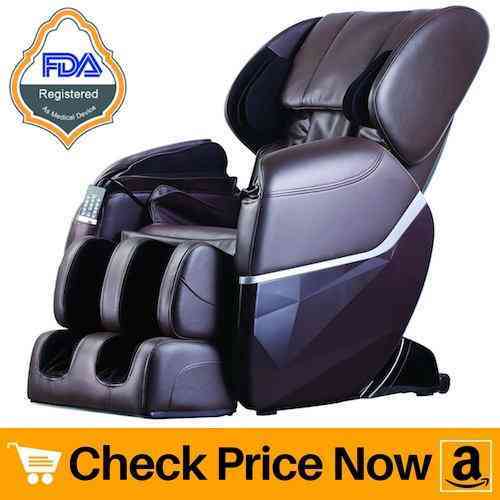 However, if you are tired that you want to just push buttons on remote then FR-5Ks delivers 4 automatic massage programs such as Stretch, relax, swing, and recover mode for ultimate relaxation. We personally like the yoga stretch or simply the stretch program/mode which will squeeze your feet while the chair stretches out your body into recline position. Such wide open stretching improves blood circulation and help you feel energized quickly. Unlike the costly ones, with this affordable zero gravity massage chair, you can enjoy rolling foot massage with calf acupressure therapy. If you have been working on your feet all day long then you must try the foot massage. After talking to people of all ages we know that having heat therapy after work is a great way to relax. Thanks to Built-In Heat and Air Massage system in Relaxonchair MK-II plus, you can now stretch your body and get rid of muscle tiredness. 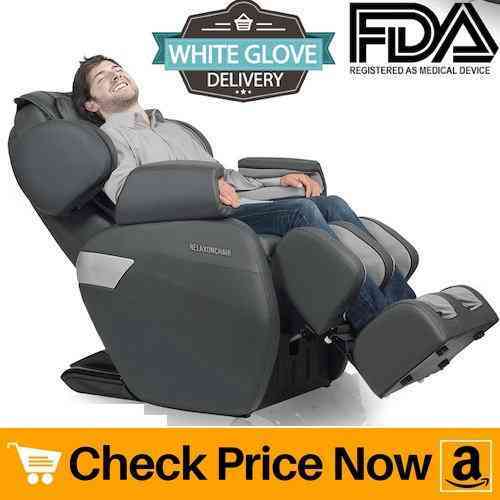 In addition to the heating system, one hand operation adds value to this excellent zero gravity recliner chair. Massage rollers combined with airbags for arm and calf gives you a whole body therapy. Combined with 4 Automatic and 3 Manual massage modes they can cover your entire back from head to toe. With Relaxon MK-2 you can control the intensity of air inside the airbags. It also comes with 3 stages automatic zero gravity multi-function modes that can elevate your feet to the same level as of your heart. In short, you can lie down inside this recliner chair like a bed. The chair is topped and sealed under high quality soft grained synthetic leather. Zero gravity adds more convenience to your therapy as you will feel elevated and near weightless. 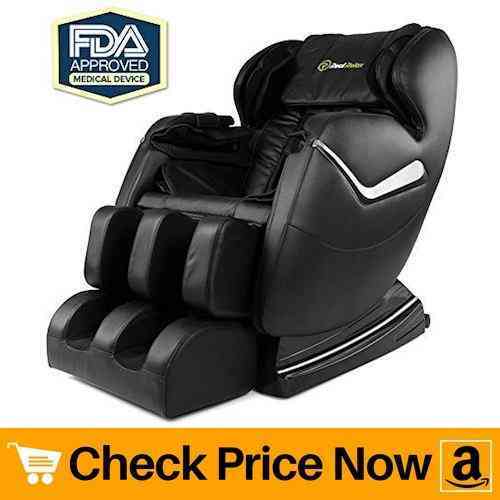 Buttlock L-tracking massage system combined with body scanning and deep tissue therapy mode makes it really one of the best zero gravity massage chair recliners. Feeling lightweight while seating on the chair is what makes Zero gravity reclines value for money. R Rothania Ospirit chair comes with an ample amount of features. Out of all of them, we really liked Shiastu massage options. Buttlock l-tracking system is truly what every best zero gravity massage chair should have. The rollers glide from the upper back all the way down under the waist which makes sure to target your lower back ensuring a full back relaxing massage. The lower back area is covered by 2 heating pads that improve blood circulation and help you release the tension down there. 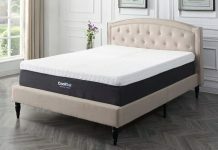 R Rothania Ospirit contains uniquely designed airbags for ultimate comfort which is programmed to inflate/deflate like airbeds to achieve perfect firmness. 2 airbags are perfectly placed under arms area to squeeze your arm and wrist together. 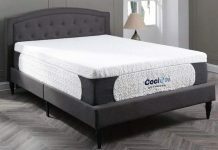 It contains a bottom spinning roller that enhances kneading massage efficiency for ultimate relaxation. Like other best zero gravity massage chair reclines, it also contains a built-in sensor that can automatically measure your spine length for a better experience. This is another excellent zero gravity massage chair from Relaxonchair known as MK-Classic. It has a full body therapy system which compliments its built-in heat therapy along with Shiatsu massage mode. Thanks to the advancement in the technology, it can scan your body when you first sit on it which can figure out your back. Such a feature improve user experience and also improve the way such recliners give you relaxing therapy. I’m big or my height is above 6 feet, can this chair handle my size? Yes, for sure, the body scanning technology helps in identifying your size and it can be used by any person in the range of 5′ 2″ to 6′ 5″ tall. To add more convincing, the brand has included an adjustable shoulder airbag which can be re-arranged according to your height. 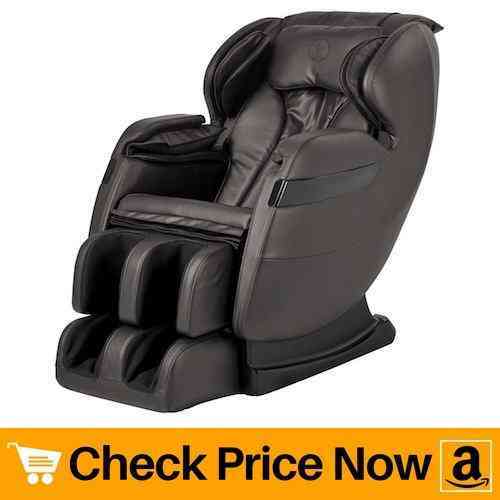 Relaxonchair MK-Classic has 7 automatic and manual modes including full body stretch and foot massage. It also features an air massage system for your arm, wrist, and palm. 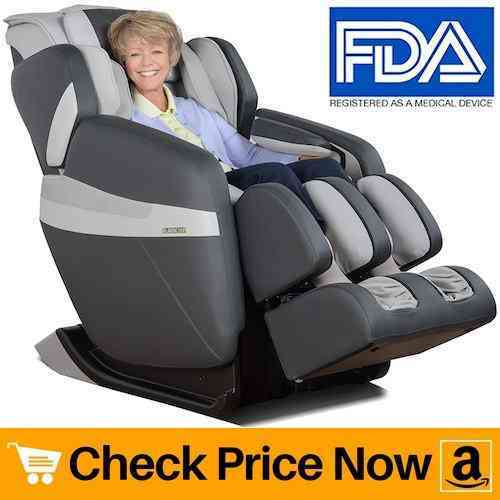 Just sit inside this massaging recliner and enjoy a relaxing experience. Mayakoba is a new brand in the market which is already making some noise with their full body zero gravity chair recliners. With built-in Bluetooth and speaker along with the massage system, you are not only going to relax but can also listen to your favorite music. Users and consumers have given hint that it might be helpful with your calf stiffness. However, we have also used it as just a recliner and not a massage chair. The compact size of this recliner even makes it easy for you to move it around the house. No matter if you want it in your living room or bedroom, just drag/lift it away. ergonomic zero gravity seating with backrest that makes sure to give you ultimate comfort. On your right-hand side, you will find a built-in control panel with USB ports. 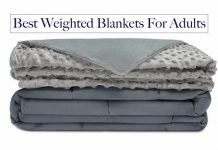 It is just the perfect combination of style and comfort at a very affordable price. 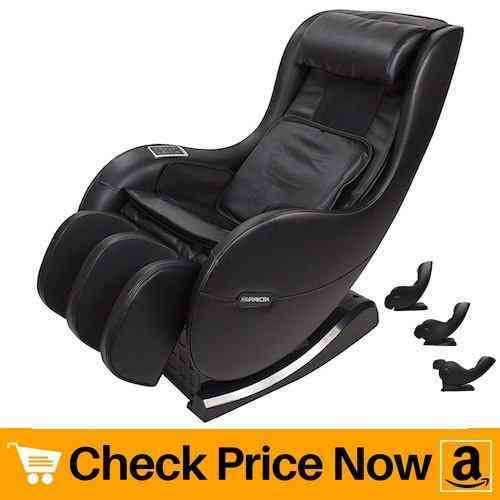 It is an excellent cheap zero gravity massage chair recliner available in the market. BestMassage is another popular brand that makes high-quality recliners. Their new model has been based on electric features and made simple yet effective improvements. It has a full body stretch feature which comes due to 8 point of massage system in the backrest for the ultimate experience. This new electric massage chair is designed to take of you from head to toe. The footrest can be extended if you are a tall person. 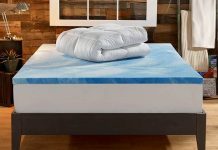 The zero gravity design will take care of you and will help you feel weightless. It has wheels, yes a simple but very important feature that let you drag this zero gravity massage chair in your home without any issue. These massage chairs are perfect for anyone who got back problems or work on a desk job for more than 6 hours. 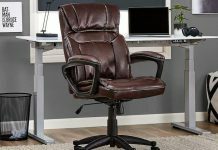 Sitting for long hours on a poorly designed chair(most office chairs are) can give you back issues. Such zero gravity recliners with airbags are the easiest way to relax yourself after work. Elderly can also use such chairs as it can help them stretch their body. 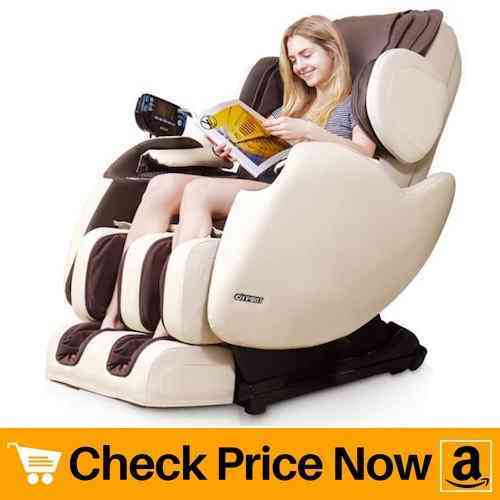 Best zero gravity massage chairs will contain heat therapy and foot relaxing features too. Such an amazing ability of a recliner can really help any person who wants to feel comfortable and energized after a tiring working day.